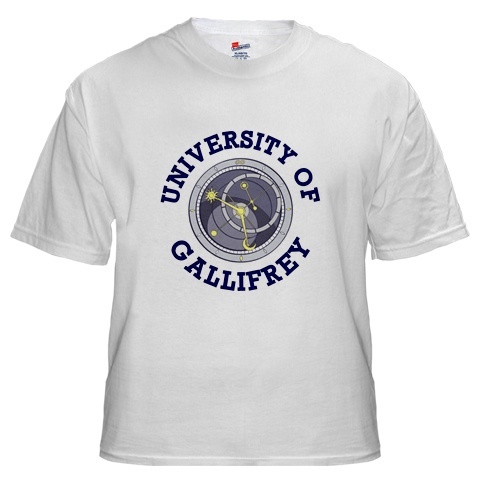 Text: "University Of Gallifrey". Sizes: S-3XL. Available for both dark and light colours from $18.75. For dark colours, click here to view/order. For light colours, click here to view/order.